Chat about books…and a cup of tea perhaps. On a trip to Melbourne earlier this year, I spotted these signs – I think they were at Basement Books, but I can’t swear to that. The seller has put the spine away from the customer desperately hoping to discourage the browser from wanting to pick up the book….but clearly this wasn’t sufficient, and so this next hilarious sign. I love that. I love the fact that being buried alive wasn’t discouraging enough, nor even ‘romance’ in red, so that there is this final addition hastily added in pen ‘bad’ above romance. Beautiful! 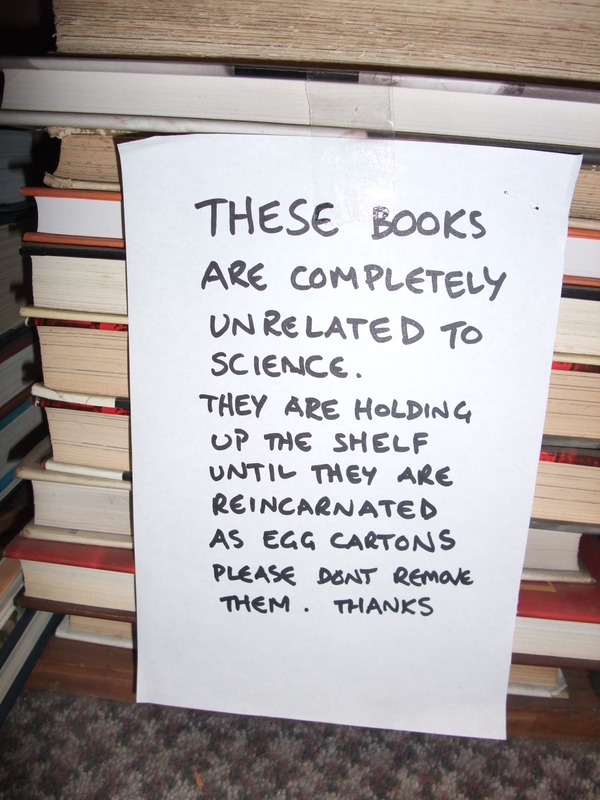 The employee who wrote these signs really understands the psychology of people who browse old science books. Nice work. Yes, but does that employee understand the psychology of the romance reader? What does ‘bad’ romance mean, after all?! 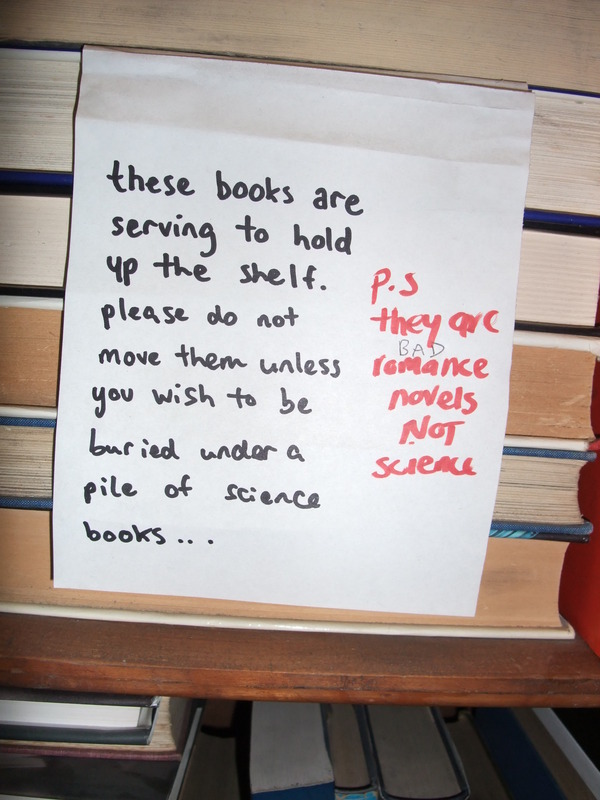 I guess the idea is that the romance reader will never find their way to the science section…. Where should I buy my book? During and after business hours.